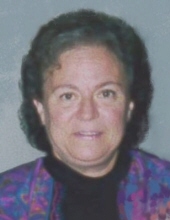 GEORGIA VOORHEES, 76, of Morrison, IL, died Tuesday, April 2, 2019, at her home. A memorial service will be held at 6:00 PM, Thursday, April 11, 2019, at the Morrison Chapel of the Bosma-Renkes Funeral Home. Pastor Elizabeth and Pastor Victor Barr of Faith Center in Rockford, IL, will officiate. There will be no visitation. Cremation rites have been accorded. Georgia was born September 29, 1942, in Clinton, IA, to Frederick and Louine (Morris) Gerke. She was educated in the Clinton Grade Schools and was a graduate of Clinton High School. She attended the University of Iowa in Iowa City, IA and Mount St. Clare College in Clinton. She married Robert Onken in 1966 in Clinton, IA. Georgia was employed at Vend-Omack in Morrison for over 20 years and also worked at Wildwood Farms in Clinton. She enjoyed doing crossword puzzles and was an avid fan of the Iowa Hawkeyes and the Chicago Cubs. Survivors include two sons, Robert Allen Onken of Polo, IL and Brian (Cheryl) Onken of Morrison, IL; four grandchildren, Adam (Veronica) Miller, Katey Miller, Emily (Cody) Hansen, and Sadie Onken; two great-grandchildren; and one sister, Elizabeth (Victor) Barr of Rockford, IL. To send flowers or a remembrance gift to the family of Georgia Voorhees, please visit our Tribute Store. "Email Address" would like to share the life celebration of Georgia Voorhees. Click on the "link" to go to share a favorite memory or leave a condolence message for the family.